1. Heard Sri Jaideep Narain Mathur, learned Senior Advocate assisted by Sri Mudit Agarwal Advocate and Sri D.D. Chopra, learned counsel for the respondents. Perused record. 2. The appellant is a partnership Firm engaged in the business of buying raw honey and bee wax from persons who are traditionally engaged in extracting honey in the rural areas. The persons so engaged, are rustic persons and sell their honey to the appellant which is tested for quality. It is stated that the process to test quality of raw honey and bee wax, takes 2 to 3 months. Thereafter, the honey is graded and price is fixed. The persons, who leave honey with the appellant in raw form, are paid their dues after its quality testing by the appellant’s Firm. It has been stated that suppliers of raw honey and bee wax are rustic persons and nomadic tribal people, who are known as Kanjars and Banjaras by castes. Ordinarily, these people do not have any specific place of their living. According to appellant’s counsel, these people move from one place to another in search of raw honey and bee wax and after extracting it, they supply to the appellant’s Firm. Their accounts are maintained and finally, the payment is made after ascertaining the quality of honey which they supply. 3. The present appeal under section 260A of the Income-tax Act, 1961 (In short the Act), has been preferred with regard to assessment year 1992-1993 against the imposition of penalty in pursuance of provisions contained under section 271 of the Act. It has been stated that before the Assessing Officer, as many as 62 creditors (honey suppliers) were named in the records, who were finally paid their entire dues in the next financial year. During the course of the assessment, all the 62 persons failed to appear before the Assessing Officer. However, the Assessing Officer wanted the appellant to produce them to verify the genuineness of purchase, sale and maintenance of records of the creditors. As many as 12 such creditors were picked randomly by the Assessing Officer and notices were issued to them under sub-section (6) of section 133 of the Act requiring their presence. It has been stated by the appellants counsel that out of 12 persons, 7 persons appeared before the Assessing Officer and 5 persons did not turn up. During the proceeding pending before the Assessing Officer, the appellant surrendered an amount of Rs. 1,00,000.00 in addition to the income return to the Income-tax Department on account of non-availability of the creditors. 4. It has been stated that 5 creditors who did not turn up in response to notice under sub-section (6) of section 133 of the Act, had collected funds in subsequent year and the account of the subsequent year was accepted by the Income-tax Department in the assessment year 1993-94. The Assessing Officer had drawn inference that the appellant had concealed the income since 5 creditors were not appeared for verification of the amount. The Assessing Officer further has drawn inference that surrender of amount of Rs. 1,00,000.00 by the appellant, was achieved because of independent inquiry. The Assessing Officer held the surrendered amount as liability and also concealment of income in the balance sheet. It has been held by the Assessing Officer that while surrendering the amount of Rs. 1,00,000.00, the assessee has not given concession to the Department rather, he was bound to do so. 5. Feeling aggrieved with the order passed by the Assessing Officer, the appellant approached the appellate authority who vide order dated 27-11-1995, allowed the appeal with the finding that from the instance of surrendering the amount of Rs. 1,00,000.00, no inference may be drawn that the appellant has concealed material facts. It has been held by the appellate authority that the surrender of amount has been made considering the convenience for getting assessment completed. The appellate authority further held that there appears to be no material on record which may substantiate the submission of revenue with regard to concealment of fact. The addition may be correct for the tax purpose but it cannot be the basis for imposition of penalty. 6. However, the order of the Commissioner Income-tax (Appeals) has been reversed by the Tribunal. While passing the impugned order, the Tribunal reiterated the finding recorded by the Assessing Authority with the observation that more than 12 opportunities were given to the assessee but he could not produce 5 persons in respect of whom, the liability was to the extent of Rs. 87,954.50 P. It has further been held by the Tribunal that the appellant has failed to show as to why the rate of yield on bee wax was less in the year under consideration than to the preceding years as the assessee had claimed wastage in honey at the rate of 12.11 per cent which was 11.59 per cent in assessment year 1990-91 and 11.6 per cent in assessment year 1989-90. A perusal of the Tribunal’s order shows that the Tribunal has taken adverse material for the purpose of imposition of penalty on account of surrender of Rs. 1,00,000.00. The Tribunal reiterated the views taken by the Assessing Officer that the assessee has surrendered Rs. 1,00,000.00 which is lesser amount referred to above, in view of section 145 (1) of the Income-tax Act. “(I) Whether a normal trade practice followed by an assessee during the course of his business can be treated as material to levy penalty upon an assessee specially when the trade practice and the manner of accounting is neither doubted by the Department nor the bona fides of the assessee were doubted? 8. For imposition of penalty under clause (c) sub-section (1) of section 271 of the Act, it shall be necessary for the Assessing Officer to be satisfied with regard to concealment of particulars of income or furnishing of inaccurate particulars. The Assessing Officer is a quasi-judicial authority and while taking decision under sub-section (1) of section 271 of the Act, he has to record his satisfaction and unless satisfaction is recorded based on certain material with regard to concealment of particulars of income or furnishing inaccurate particulars of such income, penalty may not be imposed. Satisfaction must be based on some material from which a man of common prudence may also infer that the assessee has concealed certain particulars or furnished inaccurate particulars. There must be reason to believe that the assessee has acted with ulterior motive for purpose of concealment of particulars. 9. It has not been disputed that the appellant is engaged in business of raw honey and bee wax and the persons supplying the raw honey and bee wax, are rustic persons or nomadic tribal persons known as Kanjars and Banjaras. Since the involvement of rustic and nomadic tribal persons in the business of raw honey and bee wax in which the appellant is involved, has not been disputed, then the controversy should be looked into with that angle. It is not a case where the literate or illiterate persons are involved and supply raw honey and bee wax to the appellant. It is a case where rustic and illiterate persons are involved in supply of raw honey and bee wax to the appellant. Apart from this fact, the respondents have not come forward with the plea that the persons who use to supply raw honey and bee wax, have their permanent place of living. Mere appearance of only 7 persons out of 12 persons, does not make out a case that remaining 5 persons have not supplied raw honey and bee wax more so when in the next assessment year, they approached the appellant and taken their dues. The pleading as contained in para 12 of appeal, have not been rebutted by filing a response. Accordingly, treating the pleading contained in the para 12 of appeal as correct, the absence of 5 persons in response to notice sent under sub-section (6) of section 133 of the Act, does not seem to create a ground to disbelieve the contention of the appellant. 10. So far as the question No. 1 is concerned, is replied in affirmation and it is held that normally trade practice followed by the appellant in the business while dealing with rustic persons and nomadic tribals, should not have been doubted by the Assessing Authority. The order passed by the appellate authority reversing the order of the Assessing Authority, seems to be correct approach of law. 11. So far as the question No. 2 is concerned, as observed hereinabove, it shall always be incumbent on department to record satisfaction on the basis of some material on record. 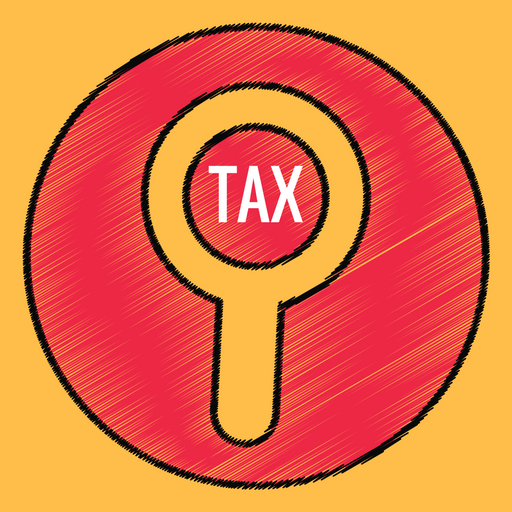 The provisions of section (1) of section 271 of the Act may be attracted, in case there is substantial material with the department to proceed against the assessee. No action may be taken in pursuance of sub-section (1) of section 271 of the Act on the basis of surmises and conjectures. In the absence of some clinching evidence or material, only because 5 rustic persons who were engaged in supply of raw honey and bee wax to the appellant, had not turned up, does not seem to create a ground to proceed against the appellant under sub-section (1) of section 271 of the Act. 12. Sri D.D. Chopra learned counsel has given much emphasis to the fact that 5 persons who had not turned up in response to notice issued under sub-section (6) of section 133 of the Act. The fact remains that the pleading of appeal contained in para 12 of the memo of appeal, has not been rebutted by respondents, hence argument of respondents counsel does not seem to be correct. “16. The order imposing penalty is quasi-criminal in nature and, thus, burden lies on the Department to establish that the assessee had concealed his income. Since burden of proof in penalty proceedings varies from that in the assessment proceeding, a finding in an assessment proceeding that a particular receipt is income cannot automatically be adopted, though a finding in the assessment proceeding constitutes good evidence in the penalty proceeding. In the penalty proceedings, thus, the authorities must consider the matter afresh as the question has to be considered from a different angle. 14. It is settled law that statutory provisions contained in taxing statutes, should be construed strictly. Accordingly, the word, “satisfaction” used by the Legislature, should be construed strictly and satisfaction must be based on some material evidence on record. In the present case, merely on the ground that few raw honey and bee wax suppliers did not turn up in response to the notice under sub-section (6) of section 133 of the Act, there appears to be no positive material to show the concealment of income or furnishing incorrect particulars by the appellant. Of course, the situation would have been different in case the appellant would have been dealing with the persons who are literate or urban people. In a country where 40 per cent persons are living below poverty line and equal percentage of people, are illiterate, then while proceeding ahead to impose penalty under sub-section (1) of section 271 of the Act, the Assessing Authority or taxing authority must look into the surrounding facts and circumstances and social status of persons who are engaged in the business. 15. Accordingly, the appeal stands allowed. The impugned order of the Tribunal is set aside. The appellate order passed by the Commissioner CIT (Appeals) is restored. No orders as to costs. This entry was posted in Sec. 271(1)(c ), Section 271 and tagged 347 ITR, Allahabad High Court, In favour of Assessee, Levy of penalty.